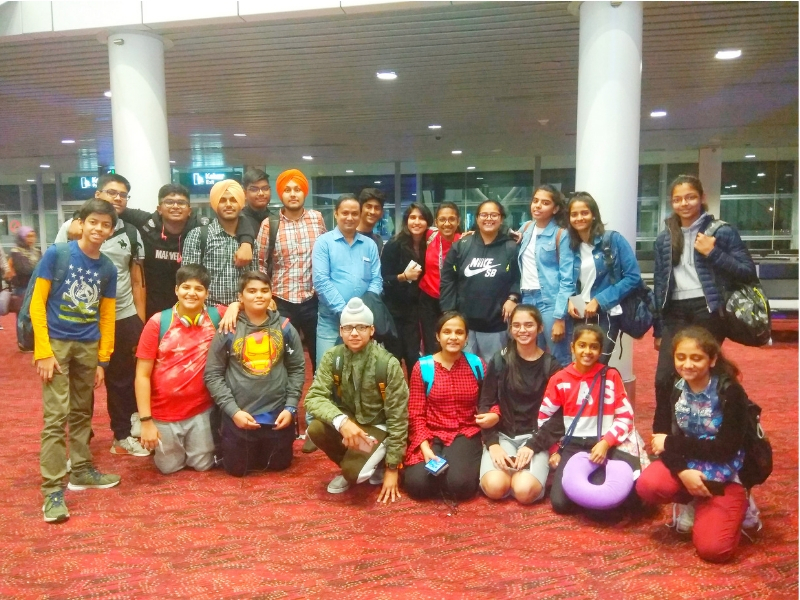 In an enriching experience, 21 students of Ryan International Group completed a seven-day study tour to Australia aimed at building confidence and creativity. 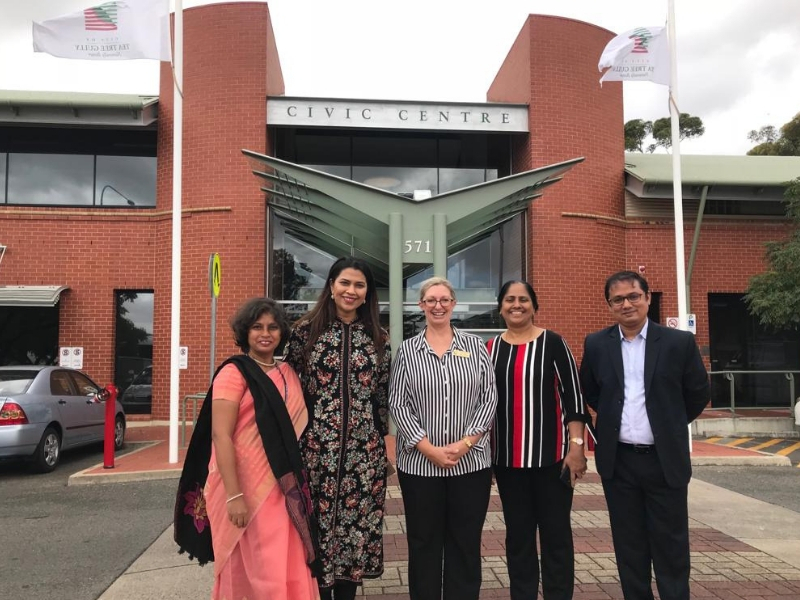 Organised by Nrityanjali Education division and Open Forum for Principals, the team was hosted by Banksia Park International High School (BPIHS), Adelaide, from March 25- 31, 2019. The study tour, ideated by Dr. Snehal Pinto, Director – Ryan International Group, included experiencing learning at the foreign campus, interacting with educators and counterparts and also living the culture and lifestyle of Australian families by staying with them. While two Indian students stayed with a host family, the pairs were decided based on their compatibility in hobbies, food, interests and age. After a special welcome, students attended regular classes on day one. The regular classroom sessions included Aboriginal history, Aboriginal painting, Computer Animation, Dramatics and Music. Students lived the Australian experience at an excursion to Whispering Walls and the Adelaide Hills where students experienced holding a Kuala in their hands and feeding kangaroos at the Gorge International Park. The group was awarded a certificate of appreciation for climbing to the top of rocking horse at the Big Rocking Horse. The students also toured Sydney where they visited Sydney Tower, Opera House, Madame Tussads, Sea life park, Wildlife Park, visit to Blue Mountains and the Three Sisters point. And the trip to cricket crazy Australia, a passion the island continent shares with India, was made wholesome with a special interaction with Sanjiv Dubey, professional cricket coach at Blacktown Grade Cricket, and founder-director of Footwork Sports Academy. Teachers under the leadership of Pinto were apprised on the teacher evaluation approach and the formal design of welcoming a new faculty to get her acquainted with the culture and dynamics of the school. They also were introduced to use of technology to interact with parents over school activities, students’ performance and guidance. 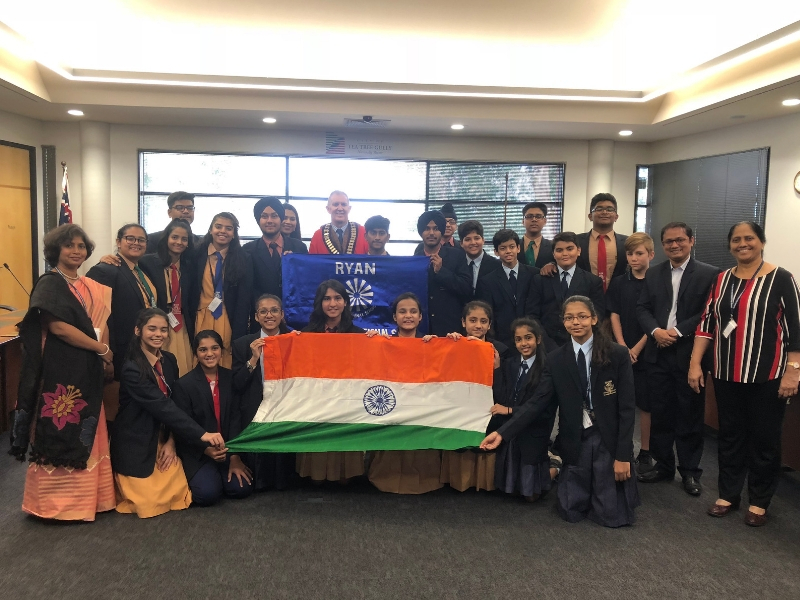 Ryan International students, in a farewell function presided by the Mayor Kevin Knight, gave them a flavour of India through speeches on the country, its democracy, leaders, the school and a Bhangra dance. The students summed up the whole experience as a mix bag of joys, lows, excitement and a great learning. For each of them, the take-aways were varied. “Creating an animated Apple was an eye opener to me in the field of animation. The trip has helped me identify my real interests and I will surely like to explore the field and send a better animated apple to our teacher of animation in Adelaide, David Couche,” said Nilay Koul, RIS, Malad. “Due to change in climate and water, I fell ill for first 3 days. But my homestay family Mr and Mrs. Barnes took utmost care of me and nurtured me. My buddy Skye was also very interesting personality and introduced me to many of her friends. The best session was on Japanese language as I got to learn a few words and also learn a game that now I can play with my friends,” said Siopreet Kaur, RIS, Chembur. “The real challenge that a young executive face today is the corporate world is about being flexible, innovative and global. It’s important that the student imbibe skill sets that match at the global level. I was happy to see that Banksia Park had designed a very interesting programme eyeing these goals where Ryan students could explore the science, art, logical and problem solving skills during the visit. It was great to see the active participation and enthusiasm of Ryan students in participating and excelling in the activities and challenges. It was a proud moment for me. I thank Ryan International group for the trust, belief and the free hand they offered me towards designing the study tour. Special thanks to Dr. Snehal Pinto who initiated and encouraged the idea and equally participated in the activities,” said Girish Dalvi, trustee and director operations of Nrityanjali Group and chief administrator of Open Forum for Principals (OFP), India. He also represents the department of education and child development, government of South Australia since 2013. The study tour programme, which is organised annually since 2012, and has covered – Switzerland, Germany, USA, Canada and South Australia—now has another success story to the list.